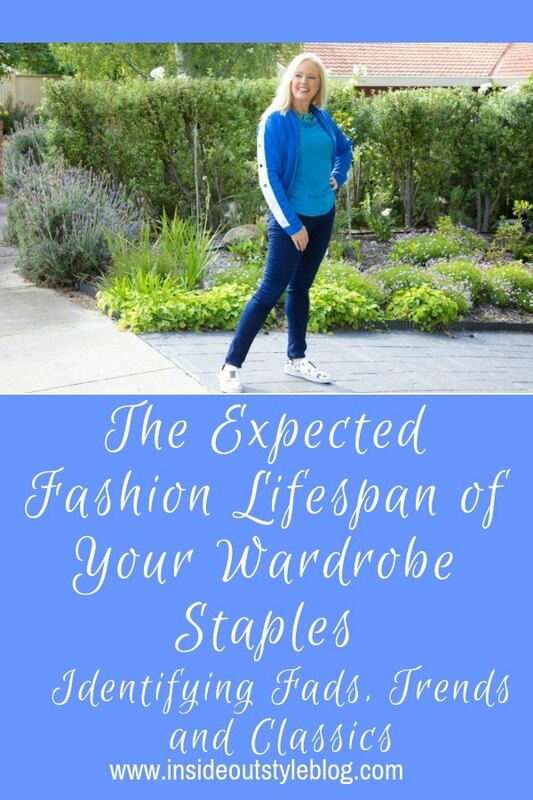 What is the “life expectancy” of various clothing items from a fashion point of view? (not considering washing and sun and piling and wear and tear). I am asking because it would help me and possibly others to find a balance in how many items I need of a certain kind. I don’t need 10 pairs of jeans because in my experience they look dated after 2 years and I could not possibly finish 10 pairs in 2 years. I realize this is not an exact science, but in your experience could you categorize items with some general rules? It would help me plan when to begin looking for the next item of a certain category – and also help realize where the money is well spent and where it is simply not worth it. 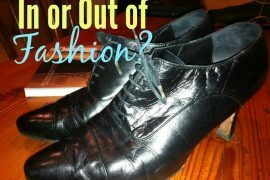 This is an interesting question – and often much of it depends on where in the fashion cycle you purchased your items! If you purchase at the start of the trend – you’ll get maximum value. If you purchase towards the end, then the lifespan decreases exponentially! Obsolescence – out of date and retailers discount heavily to get rid of their stock! What’s tricky is that it’s very difficult to predict the lifespan of any particular fashion trend. Whether or not a fashion trend catches on, or remains a fad (where it never hits the peak) or it becomes a classic (and remains in fashion for a long long time) is something that is determined by consumers and their willingness to accept the fashion and how much they love it! Without being able to give you a definitive answer to your question – I’ll pass on some of what I believe are general guidelines for how long items last! Fads come and go quickly – within one season (or year) and sometimes even less – a matter of weeks! They don’t catch onto the mainstream and go into obsolescence quickly. Why? In my opinion (and it’s just that), it’s because these styles and colours just don’t flatter many women, they may only suit the young, or require a body shape that is not a traditional female shape (such as ignoring curvy hips and thighs), or colours that are hard to wear (think fluorescent colours as an example). So they don’t catch on and rise in popularity and anything that is a novelty item or extreme in some way will be a fad. Fashion Trends stay around for longer – say 3-7 years – they are loved by many and become the staples of most wardrobes and are almost all you can purchase in stores. Trends also relate to the lengths of items such as skirts and dresses (knee-length, midi length, maxi, mini etc.) the shape of jeans (bootcut, skinny, flared etc. ), styles of tops (fitted, cold shoulder, oversize etc.) shapes of jackets (bomber, moto, blazer etc.). They stay around for some time as they are generally more flattering and we feel good in them and enjoy wearing them. 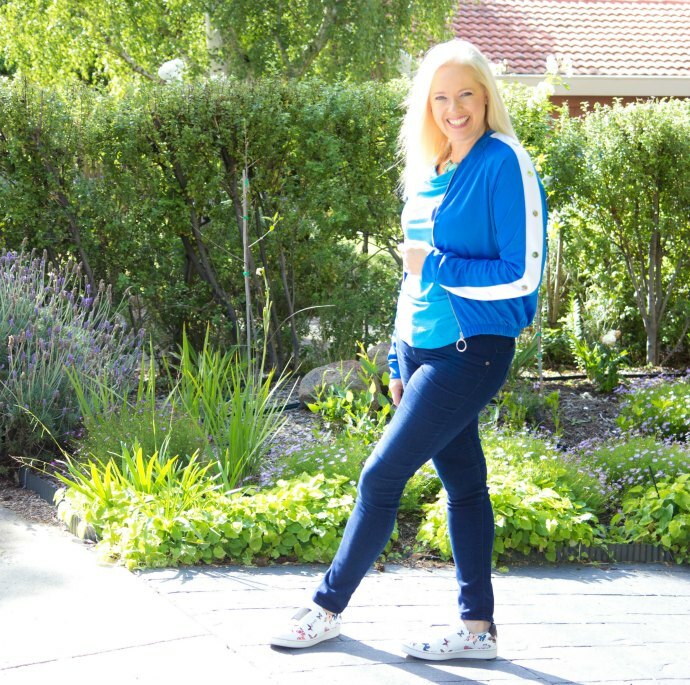 Here’s an example of a fashion trend outfit – Sporty-chic has been around for a few years and is still here – with sneaker style shoes and athletic-inspired bomber jacket this is a very comfortable trend and a step up from wearing pure athletic clothing – athleisure that’s everywhere, as if you’re either on your way to the gym or just coming home from it. With the mass casualisation of work dress-codes, I’m pretty sure this kind of casual clothing will stay around for another few years longer as comfortable clothes and shoes are loved by many. Dark denim jeans – this style has been around for at least 6 years and is still readily available in jeans stores. Classics are the items that you can always find in stores, that stay around for a decade or more, there will be tweaks to the style of the classic through the decades, but they don’t change hugely – items such as the trench coat, button-up cotton shirt, the knee-length straight skirt, crew-neck cardigan or a pattern such as leopard print, or the Breton striped tee – are all fashion classics that have been around for a long time and in many incarnations. They morph some each decade, but are still readily identifiable at any time, and usually able to be purchased easily at mass market and department stores. What’s the Expected Fashion Lifespan of Your Wardrobe Basics? Now if you purchase later in the fashion cycle – at the peak – take time off these numbers. The more creative your clothing is, the less it’s influenced by fashion trends too. If it’s more “outside” of the norm, it’s not so much in fashion so it doesn’t go out of fashion in the same way. When is it Time to Let Go of the Trends You Love? Is Your Wardrobe Ageing You? 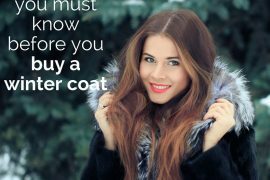 Next articleHow Long Will Your Clothes Last Before They Wear Out?